Goldstone Wrap is definitely my favourite Albion blog. Prompted by this thread (and The Goldstone Wrap following Brighton But Only At Home!) I found time this morning to finally do something I should have done ages ago and have a read of The Goldstone Wrap. I only got in 30 mins reading before my daughter got bored of CBeebies and yet only got as far 12 September’s post on Mick – sorry Michael – Robinson. There’s a well researched update almost every day. Can’t recommend it highly enough. I’m just sorry it took this long for me to give it a proper read. If you have any memories at all of the Goldstone (or are a youngster wanting to know what the fuss is about) go and have a read. 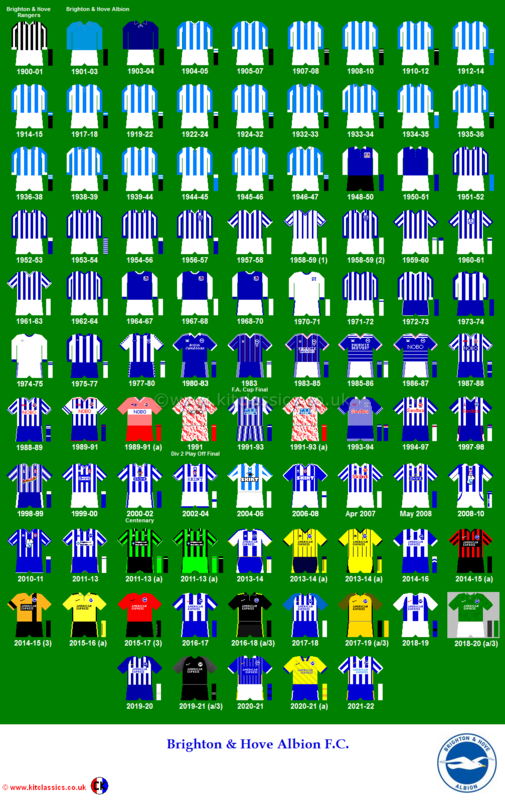 Any #BHAFC fans who don’t already follow @GoldstoneRapper: you really should. A splendid nostalgia-fest of vintage Albion footage & pics. I remember cutting that Fred Binney questionnaire out of Shoot! magazine. Great memories. Fred’s comments are more interesting than many of his contemporaraies on Shoot!’s Focus pages. He sounds a ‘well-rounded’ young man. That’s a classic kit. Great days win lose or draw. Great site – so many happy memories of days at the Goldstone! i did my alevels that summer and got c o e which was appropriate but i would rather have got ovett but that wasnt possible… was in france when we played that first game, 35 zears later am in germany, oh how i long for another start in the top flight, it can only be better! !